I have been along for the Cisco Collaboration ride for the past 20 years and have seen so many positive changes since 1999. But as I watched Amy Chang’s (Cisco’s SVP and General Manager, Collaboration Technology Group) Cognitive Collaboration Keynote at Enterprise Connect in Orlando, I was humbled by Cisco’s continued innovation and transformation efforts. Cisco’s Cognitive Collaboration is an example of what is possible today while shaping what tomorrow is going to look like. With their data platform and data ingestion capabilities, people and company information will be available at your fingertips within Webex Meetings and Contact Center. So what is Cognitive Collaboration? It’s the combination of artificial intelligence (AI) with cloud communications and multiple enterprise data sources to bring people together with more context. 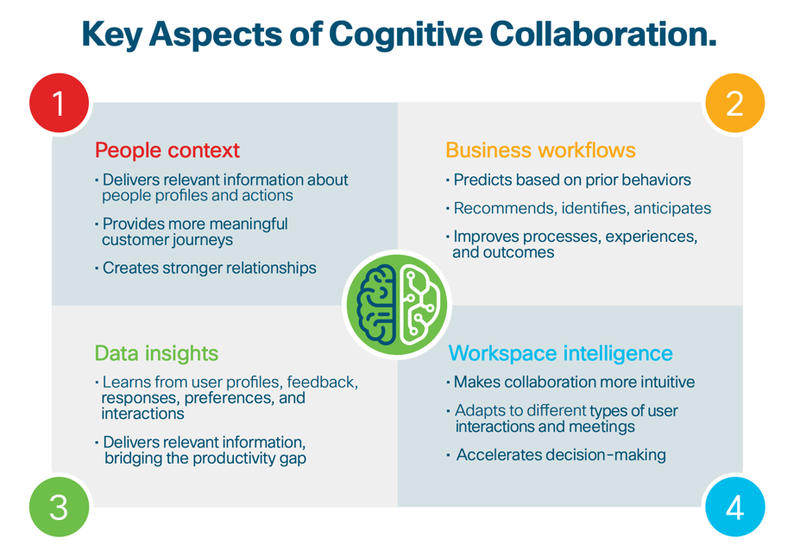 Cognitive Collaboration will power intelligent teamwork, intelligent workspaces, and intelligent customer journeys! Couple this with new Cisco Webex Room Kits and Webex Assistant and Cisco really embodies their “bridge to possible” vision. Are you ready to take your organization’s collaboration to the next level? At Greyson Technologies we’re invested in our customers’ success. Reach out today to see how Greyson and the portfolio of Cisco Collaboration solutions can transform your business. With more than 20 years of experience in information technology, management, governance, and operational excellence, Michael is driven by providing business value and achieving client success. Looking for IT innovations and advice? Sign up for our newsletter. © 2019 Greyson Technologies, Inc. All Rights Reserved.